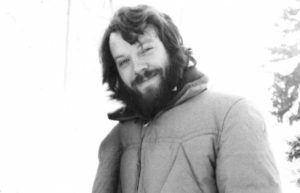 IT’S pushing 50 years since I first heard the unforgettably powerful, soul-piercing voice of Canadian singer-songwriter Bob Carpenter, as captured by producer Brian Ahern on early demo tapes of what was to become Silent Passage. …as it was uplifting and beautiful. Blindsided by something so unique, astonishing and unexpected, I couldn’t quite wrap my mind around it. It was a shock to my chakras, as close to an encounter with the supernatural as anything I’d ever experienced. No puppet strings, no wires, no hidden microphones. Just music. And it all invisibly takes place inside the mind. Bob’s voice—the perfect instrument—his breath-taking, visual poetry, genius for symbolism, connective wisdom and dynamic storytelling take you there via inner routes that appear on no map. When I first heard the Ahern tapes I felt like a parched explorer who had stumbled across a vital stream of magical music, a singularly transformative musical experience that opened me up to see a previously unseen parallel universe teeming with life. Strange as it might seem, light sometimes comes at a price. Bob sang the songs that unlocked my mind and let loose volleys of visions and questions that exploded my imagination. Sleep was no escape. His regal songs, that voice, followed me into my dreams. 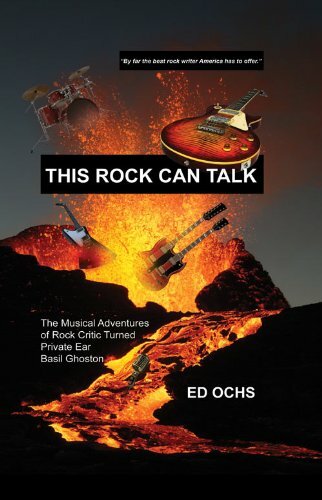 In a vain attempt to write it out of my system, I went so far as to fictionalize elements of my experience with Bob in a paperback, This Rock Can Talk. I needed to understand why—why did I connect so electrically with Bob’s music? What about it touched me so deeply? I realized I’d found something I didn’t know l’d been searching for. 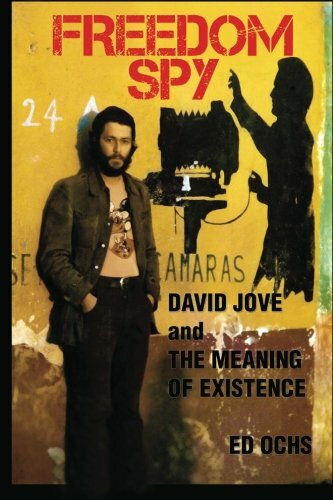 Like most of us, I had my questions, you know, the kind of questions that don’t pop up on TV on “Jeopardy,” like “What am I doing here?” and “What is the meaning of life?” I sought my own answers, talked to no one about it, and never thought I’d learn any more than I could find in a book. Bob, the universal mystic, however, offered answers in the form of vivid reflections, metaphors and imagery scattered throughout his songs that, however difficult, even painful to swallow, enriched me with a more profound understanding of life and a deep admiration for his extraordinary music. Are they supposed to set us free? In this light, in my view, Bob Carpenter is still here and still telling his truth-filled stories, entirely present and wrapped around us, working his inner revolution of the spirit with his still-growing audience. This isn’t just my wistful theory. Bob’s transcendent music has proved it—by disproving the notion that history is a concrete wall and that time has some sort of objective reality all its own. They aren’t completely unreal, of course; ordinary reality propels things along. For those who know what they heard and saw when he played, though, Bob demonstrated that time and space aren’t as solid or one-dimensional as they seem. By connecting the inner world to the outer world he achieved an awareness and consciousness that pervade his music like no other contemporary musical artist save Neil Young, with whom he shares an extremely rare ability to communicate at the highest level. Such connectivity always existed on a psychic level, but the mass of humanity was unable to see it clearly until recently. Now we’re at a point in history where we’re more concretely able to see our total connectedness, and the need to evolve and connect exponentially more at an even faster rate, if mankind is to survive. Intimately entwined with his meditative music, Bob’s religion always played a big part in his everyday life. His commitment to Buddhism only deepened over the years, sometimes at the expense of family. Eventually, he entered a monastery in California to prepare to become a monk, which he achieved simultaneously as he passed through this life in 1995 of brain cancer at the age of 50, a lifelong spiritual pilgrim to his last dying breath—and first new breath of life to come. Besides being an incomparable musician, Bob had the amazing gift of being able to conjure and combine complex Christian, Tibetan Buddhist, Sufi and homegrown Canadian Indian visions, project them on the movie screen of the mind, and make them instantly accessible and relevant to us then, today and tomorrow. Through eloquent truth-telling and the universal language of poetry, he makes listeners believe he is speaking directly to them when he’s speaking to Everyone. I thought he was speaking to me; it was such a private conversation. That’s why Bob’s journey was my journey, our journey, and Silent Passage will endure as the ultimate seeker’s album, a star chart of the soul guiding new generations of gypsies, wanderers and wayfarers searching for the light. “A lot of his songs are about a struggle with the ego. His lyrics are talking about the truth which is why they resonate with people at a very deep level. They are about what religion and spiritual ideas are leading us towards. To me it’s very deep what Bob was writing about—it’s got a lot to do with his spiritual quest. “A lot of his songs have to do with self-realization and impermanence and the struggle of the soul with the material world. His songs are about truth in terms of what our spiritual identity truly is, a reflection of the creator. He was obsessed with the mystical union. I cite Brian Ahern’s production of Silent Passage up front because, for me, it immortalizes Bob and his music in a multi-dimensional way that’s difficult to find in most of Bob’s other recordings. Yet there’s something unfair about that conclusion. After all, it would have been practically impossible for Bob to reproduce Silent Passage live on stage or on the road; it would have taken a small army and big bucks. Silent Passage was a concept album from first song to last, not just a collection of songs, with many musicians, arrangements and moving parts, belying the relative simplicity and directness of Bob’s typical live performances, solo or with a basic band. Bob was a hard act for anyone to follow, which he found out first-hand when he couldn’t follow himself after the heights of Silent Passage. Bob was something of a purist when it came to his music and wasn’t thrilled with the “bells and whistles”—horns, strings, backup singers—Ahern brought in to fully illustrate his songs. Bob felt they were a form of hype, parlor trickery that detracted from the core essence; he was more comfortable sticking to the basics of the genre. At the same time, Ahern was much more than a shaper of sounds; he was a painter with an infinite canvas, array of brushes, and a palate of many colors and contrasts, and he used them all to bring Bob’s dramatic, panoramic song-poems to brilliant, spell-binding life. Ahern was always looking beyond the all-night studio sessions at the bigger picture of bringing Bob to the world, not just satisfying the folk-country-rock demographic. Taking nothing away from the integrity of Bob’s music, Ahern’s arrangements drew out the hidden lines of emotion and provided the kind of classical elegance, aura and luminescence that frame timeless art. Ahern has a gift for relentlessly mining the art in artistry and he brought out the best in Bob by forcing a discipline and harnessing his incredible power, driven by the aim of reaching the widest possible audience. Ahern had already proved his hand at hit-making with Anne Murray’s sparkling, globe-circling “Snowbird,” and he surrounded Bob with world-class studio musicians to elevate his game: Lee Sklar, Lowell George, Bill Payne, Russ Kunkel, Ben Keith, Buddy Cage, Anne Murray, Emmylou Harris, Dianne Brooks, among others. Without Ahern’s production—Bob had little patience for the recording process and felt his input was largely ignored—it’s likely that few outside Canada would have ever heard Bob’s music. But Ahern understood Bob’s talent, what his songs were about and where they were coming from, and he knew the level of his musicianship and how important he was an as artist, and why it was so important to create a rich musical environment to nourish his mind-blowing songs. So that when they were heard, they could not, would not be soon forgotten. Bob’s essential being was formed early on in a crucible of abandonment, disconnection and yearning. Part Ojibway Indian, he was born on March 12, 1945 on a reservation near North Bay, Ontario, about 240 miles north of Toronto. When his foster father, who he liked, died and foster mother couldn’t care for a teenager, it was more foster homes until, at 17, he joined the Navy. “He joined the Navy as a form of support,” Margaret wrote. “He said he enjoyed it. I think he appreciated the structure and companionship.” He was eventually discharged for mischievous conduct while drunk on leave in Edinburgh, but by then the Navy had introduced him to the sea and distant shores, opening his eyes to a wider world. (Although Bob didn’t complete high school, Margaret wrote me, “he was really intelligent and well-read.”) His wanderings eventually took him to Toronto where, inspired by the mid ’60s Toronto folk music scene featuring Neil Young, Joni Mitchell and Gordon Lightfoot., he began playing small venues and gatherings. The young guitarist’s name was Bob Carpenter. His journey from Ancient Mariner to Silent Passage was well underway. In 1969 Bob briefly journeyed to India and met influential teacher Kirpal Singh, who helped him fine-tune his “out of control” Zen mediations. 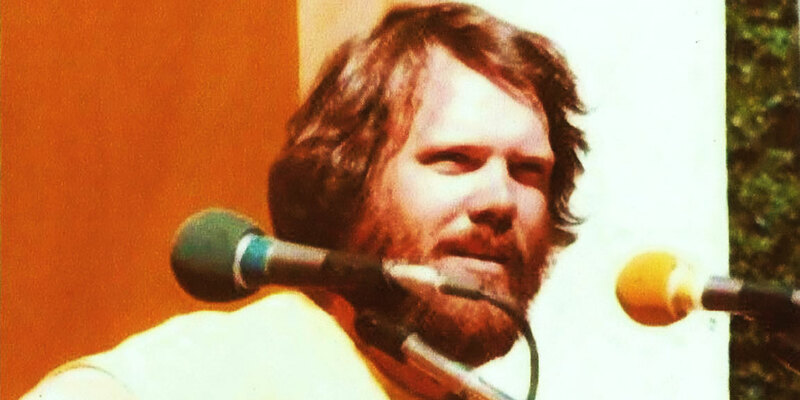 “I spent two short weeks in India and was initiated into a yoga of light and sound,” he told Doug Cox and Nelson Whalen in a 1980 radio interview edited for the reissue album notes. I once asked Bob about the source of his inspiration and he gave me a book, The Sufi Message of Hazrat Inayat Khan (Barrie and Jenkins, 1973 edition), Volume II, containing the master’s four books: The Mysticism of Sound; Music; The Power of the Word; and Cosmic Language. The book titles alone speak directly to Bob’s genius. 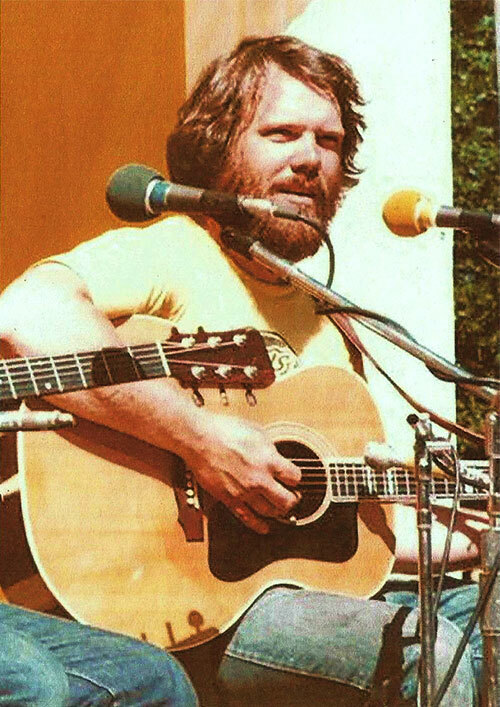 He began recording with Neil Young’s producer, David Briggs, who had just finished After the Gold Rush, in Toronto in 1970-71, spending time with Briggs in LA in the rustic oasis of Topanga Canyon. There he hung out with members of Spirit and Buffalo Springfield, whoever happened to be in town at the time, while catching hot live acts likes Taj Mahal, The Byrds and Flying Burrito Brothers. Questions about direction and Briggs’ eventual move back to California disarmed that attempt to bring Bob to record. Enter Brian Ahern, Canadian producer on the rise. In 1972, after isolating himself for the winter in a remote cabin in British Columbia to write, Bob, then 26, emerged to perform his new songs to rapt audiences. Other artists began recording his songs. The word was out. He became a “familiar figure with the Canadian coffee-house circuit,” according to an early record company bio, and made an appearance with the Edmonton Symphony. The fact that the first recordings of what was to become Silent Passage were etched nearly a half century ago—and I’m talking about here as if it was yesterday—sheds some light on how history makes legends and legends make history. No such category has ever existed in the music business but, looking back, Silent Passage, banished to legal oblivion, was certainly one of the top unreleased albums of 1974. It was tirelessly pursued by Holger Petersen and finally released by Stony Plain in 1984. A mere decade later, Bob passed from the physical plane way too early, having scratched the surface of his colossal talent. Forty years after its unrelease, a cut diamond unceremoniously returned to the earth, Silent Passage was named one of the top 10 reissues of 2014 by Rolling Stone. At this rate, Bob should be a global superstar by 2054! Writing for the Museum of Canadian Music—and for a new generation that only recently has discovered Bob Carpenter through the release and reissue—reviewer Kezzie Baker calls Silent Passage a “solitary masterpiece… a lonely warrior’s painful battle with his own personal dark night of the soul. Many years later now I still get overwhelmed when I hear Bob singing a simple line or two that hits me a certain way in a certain place. Maybe you do too. I don’t know the full story to explain why Silent Passage wasn’t released n 1974, and I don’t psychoanalyze Bob for the part he played, or others may have played in that disaster of a lost opportunity. Part of that collapse is documented in Doug Cox’s excellent album notes for the reissue. They offer valuable, honest insight as a balm for those who mourn that cruel skip-of-the-needle in time and wish they could turn back the clock and undo it so that there would have been more albums by Bob Carpenter, not just one. (I signed on to manage Bob in 1974, and when the Warner Bros. deal fell through we were all “scattered on the ocean once again.” The experience was so brief a cup of coffee for all involved that it barely merits this parenthetical mention.) For me, whatever happened then could be summed up in three words: “the music business.” Where you learn the hard way: Not everyone makes it. Talent isn’t enough. Some of the best music in the world is never heard. For me, it no longer matters what happened back then that robbed us of all that could have, should have been. Ego, immaturity, naiveté, whatever—we can’t change any of that without a time machine, and probably not even then, since Bob seemed to be born with a very serious case of man-against-the-universe blues. Thanks to Holger Petersen of Stony Plain and Mike Quinn of No Quarter, however, we do have the rescued record safely secured. Coming full circle now, back to the beginning, I choose to focus on the music, the singer and his songs because that’s what people will remember long after these lava-lamp thought-bubbles disappear from your screen. One final bubble. I don’t think it’s a stretch to suggest that had Silent Passage been released on Warner Bros. in 1974 there would have been more albums after that and Bob Carpenter would be in the discussion as one of the great contemporary singer-songwriters of the 20th century. But that’s just me wondering out loud, right? When I first heard the early demos in 1971 it was ridiculously obvious to me that nothing could keep Bob—and Brent, as well, for he was part of that ill-fated deal—from global success. Almost nothing. Except the trap doors in the music business. We’ll never know what might have been and that’s part of the tragedy. There was only one album. That’s all we have to go by. But oh what an album it is! Well worth waiting a couple thousand years for.